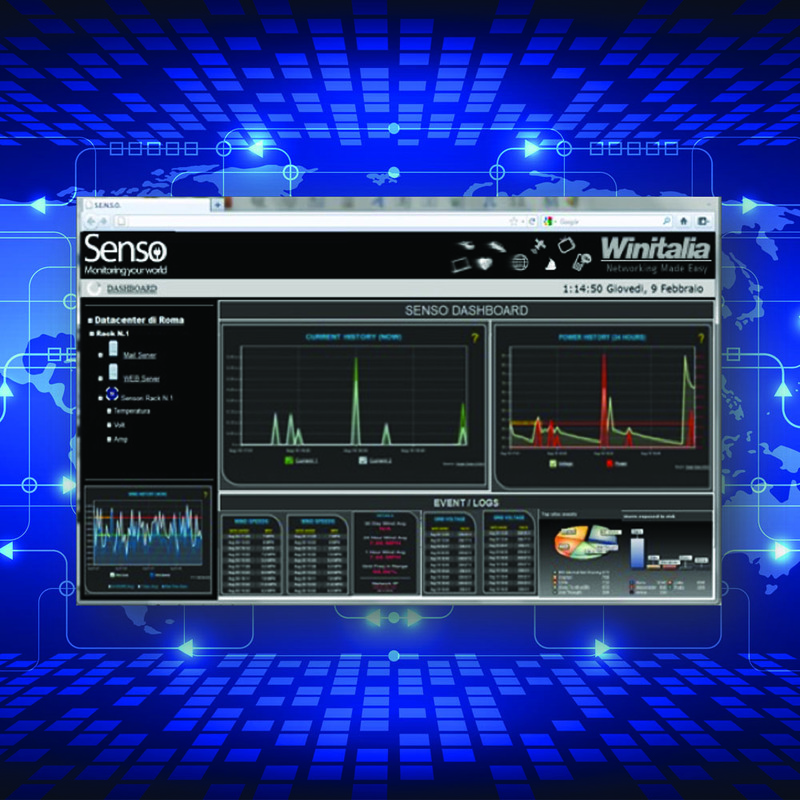 With Senso Data Center Monitoring you can monitor logical and physical components of your IT infrastructure environment. 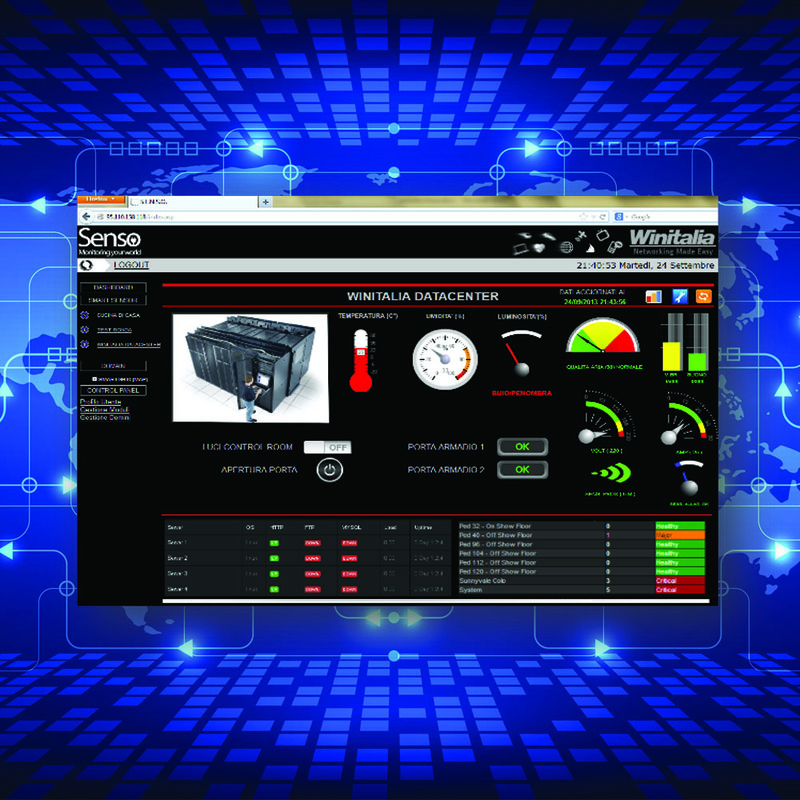 You can also configure Senso so that whatever happens in the environments can be crossed and managed. Eg. if someone breaks into your datacenter, Senso will identify him with the access control system and if he will approach a rack not having the right authorizations Senso will block the door of the rack cabinet and log out all the administrative account actually logged on the servers. With a simple and intuitive web interface you can check all the parameters, statistics and graphics to analyze your systems and security alerts. Senso 'all-in-one technology' is developed to be installed easily in every core nodes of your IT infrastructure. Working together with the optional Security Center service you can acquire and check all the logical and physical logs analyzing anomalies eventually sent to the users with a push on the mobile Senso app. You can also attach your existing videosurveillance system, air conditioning and access control systems unifying and simplifying the interface for all your IT infrastructure merging physical and logical devices.